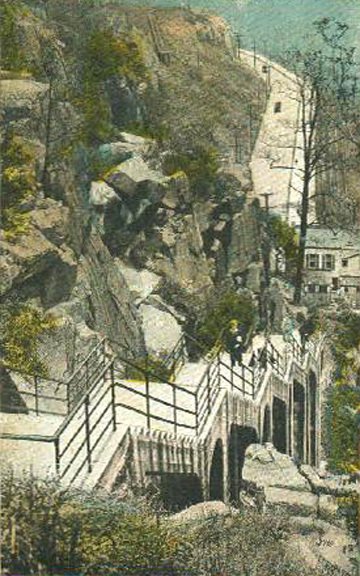 Circa 1920 postcard of the Stone Steps in Weehawken, New Jersey. The Steps, also known as the Grauert Causeway were built in 1915 to connect the ferry landing to what is now JFK Boulevard. The steps are still in existence, though collapsed in places and overgrown with vegetation. This image courtesy of The Weehawken Time Machine which also has some recent photos of the site.